...... DVD that's playable on standard DVD/VCD players. You can save your original photos into the DVD too.Create impressive DVD compatible video Mpeg files with transition effects & music from your photos.Watch your digital photos on big TV screen with family & friends. All you need is a DVD player. * DVD are well supported. * Professional user interface and very easy to use. * Powerful photo editor integrated makes it easy to edit your photos. * Choose from hundreds of transition effects for your slideshow. * Choose background music (MP3) for your album. * And multiple music files for a single slide show is supported. Easily control for individual photos. * Select different display times and transition settings for individual photos. * You can now add text, photo date, file name on your photo. Watch your digital photos on big TV screen with family & friends. 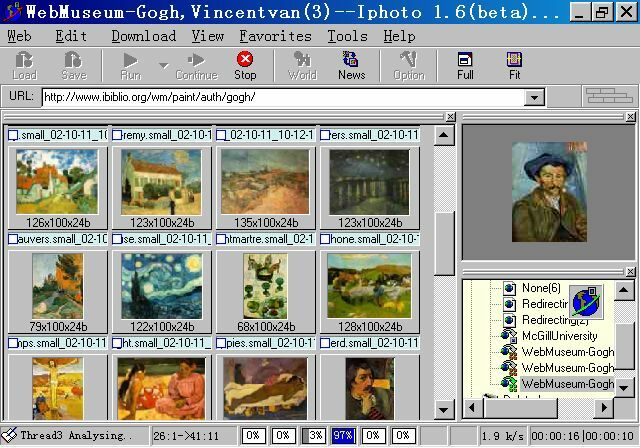 Archive digital photos into DVD/SVCD/VCD compatible MPEG files. Cam Wizard is the ultimate webcam security application for your Windows XP PC. Pocket DVD Wizard for Pocket PC and Windows Portable Media Center. "Cursor displacement control method" and "Data input method". Qweas is providing links to IphotoDVD Wizard 2.0 b21 as a courtesy, and makes no representations regarding IphotoDVD Wizard or any other applications or any information related thereto. Any questions, complaints or claims regarding this application IphotoDVD Wizard 2.0 b21 must be directed to the appropriate software vendor. You may click the publisher link of IphotoDVD Wizard on the top of this page to get more details about the vendor.